Charissa Farley talks over the Marrakesh community project with Farley General Manager Andrew Vear. What do you do if the vast majority of your pre-recession business mix is not coming back? Charissa Farley says the damage from the 2008 housing bust could have been a lot worse. "In the end we took a hit of about a $250,000 in bad debt from bankrupt companies. But at the time, we had about $1.5 million in receivables, much of that with companies in trouble. We were doing such a huge volume that $1.5 million was standard for our receivables." Farley Interlocking Paving's service area around Riverside County, CA was among those most brutally impacted by the great recession. And Charissa's business was 100% centered on construction-boom projects. "We were heavily vested in multi-million dollar newly constructed homes and very high-end tract work – which was where all the money was." A tract development might have 1,500 homes under one contract. Tract homes are extremely similar so constructing them is extremely efficient and buyers get more house for their dollar. 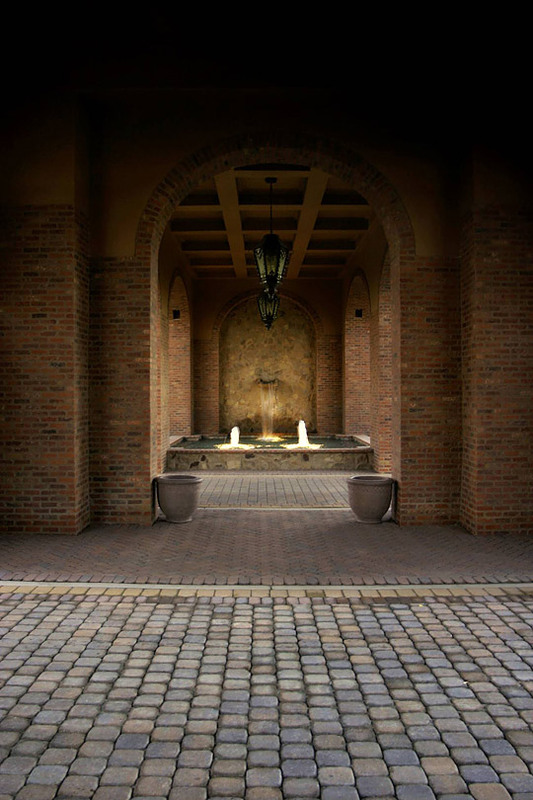 Farley paved the streets, common areas, entries, driveways, courtyards, pool decks, patios and walkways. "Overnight that work all came to a screeching halt. Even today, tract projects are either bankrupt or creeping along slowly doing 1 or 2 homes in a quarter. We still have 1,200 homes under contract; they're just not building them. "For a period of time, we could not adapt quickly enough. Chasing specs was a blood bath because every mason, every landscaper, every concrete guy in Southern California suddenly went after whatever limited work was there including pavers. So prices plummeted. The first year afterwards our total gross sales were probably about 1/10 of what they were." With building at a near stand-still, collecting receivables became almost a full-time job for Charissa. While $250,000 was a big hit, she viewed knocking receivables down that far from $1.5 million as a major achievement. "Managing receivables is not just about staying on top of it. It's about good relationships. You have to make yourself valuable to clients so that you are on the top of that list when they have a limited amount of funds. Whether it's helping them find new customers or finding a lender. Whatever they need, I'm out there using my connections to help them out, build that relationship and stay at top of the food chain." Charissa had enough equity to cover the bad debt while also supporting herself and the company for the 18 months the recession was widely predicted to last (not for the 4 years it has dragged on). She says she was financially prepared because she had been stung by a previous recession in 1991 when she lost her job as a real estate developer. 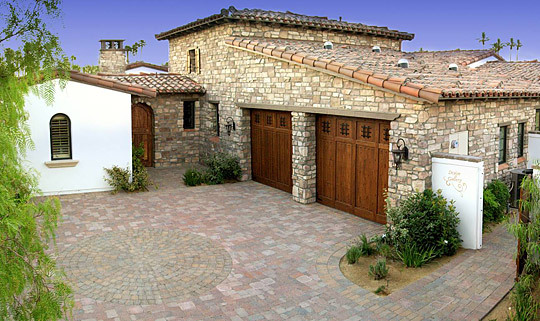 Concrete pavers achieve the look of traditional Spanish cobblestones. As the effects of overbuilding sank in it became more and more clear that a vast majority of Farley's pre-recession business mix was not coming back. The question now was: What do we do? Charissa didn't like the idea of adding new trades to try and upsell clients additional services like masonry work or landscape installation work, etc. "It just wasn't us. The core of our company culture is to do one thing really great. 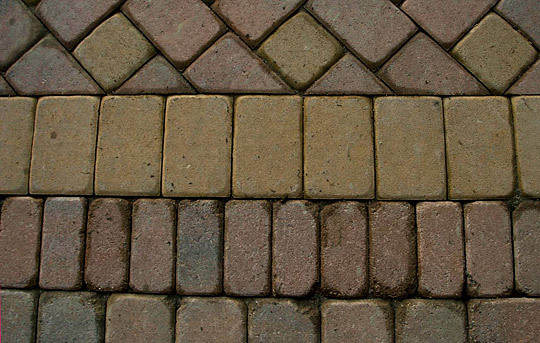 We got in when pavers were relatively new, and had created a brand synonymous with interlocking pavers. Not those other things. This is what we do, good times, bad times – I love what I do." So, the goal became finding more paver work. To sell more pavers they expanded their service area. "If we're that good in this region, we can be that good in other regions." They've also been exploring marketing relationships with people such as interior designers and realtors who can provide access to new clients. 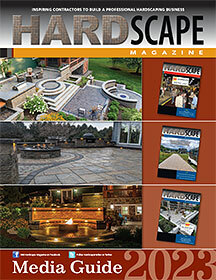 They've grown permeable paver sales to municipalities, and only see that expanding. But, while it sounds like a long shot, their greatest success has been in actually creating work by approaching market segments that tend to use poured concrete, asphalt, stone, stamped or scored concrete. Charissa says people typically use those other products either because they're not educated in the benefits of pavers, or because pavers that would suit their tastes aren't readily available. She makes it her business to change that. The vast majority of their self-created work, accounting for 50% of total sales, has been from paving Homeowner Association (HOA) managed communities previously paved with asphalt and concrete. They've done one of these communities each of the last 3 years, ranging from 40,000 sf to 65,000 sf of pavers each. "We show them ICPI studies showing pavers are cheaper than asphalt over the life of the pavement. We love to tear out asphalt, and we're doing a lot of that right now, and we see a lot more of it coming. 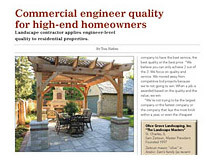 "We've created more demand for pavers. It's paying off for us – and for some of our competitors. I create it," explains Charissa, "but I don't get it all. The good news is the vendors love me because whether I get the job or not, somebody gets the paver sale." Without going into the marketing plans she has for different niches, Charissa says the key is to customize your approach to fit each segment. "But we can't sell to interior designers the same way we sell to architects and engineers. You have to take a friendly, less technical approach. "We advise interior designers to go back to their existing clients and say, 'You forgot a room of the house. You forgot your outdoor living space.' 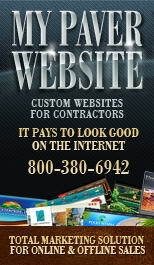 With our help they can design it for a reduced fee because we'll give them a sales commission on the back end. "So instead of having just our company producing sales, we can have a bunch of salespeople bringing us work." for the Spanish-influenced architectecture of the Southwest. Your sales approach doesn't count for much if you can't deliver the products potential clients want. Charissa goes to great lengths to either find the right products or have them specially created for her clients. "The gay and lesbian market is largely going for a contemporary look with poured concrete, and they're not using pavers. We have a lot of mid-century modern architecture not using pavers at all. "So about 3 years ago I started pushing my suppliers for more contemporary styles to expand our market. Get me some larger pieces architects like to use. Get me some products that are longer and linear, and in lighter shades that would fit with these styles. There's a segment of the market that likes using stone. 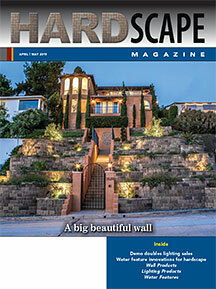 Let's find pavers that are cheaper, more durable and look like stone." Offering the broadest array of pavers possible is one of Farley's selling points. They import products from all over the world and work with local manufacturers to design new pavers with different pigmentation blends, textures and finishes Charissa wants. Charissa also does a lot of research on architectural styles to offer clients expert advice. "I have thousands of photos I've taken all over the world. While everyone else has their camera pointed up to the cathedral, mine's pointed down at the ground." Charissa knows that all of the new markets she's been working aren't necessarily going to pan out. So she takes time very month to evaluate what's working, what's not, and where she should shift her efforts next. "When we hit a bump in the road, it's just: How quickly can we adapt, minimize our losses and move on. "We're now creeping back to maybe 35% of where we were before the recession. I don't anticipate getting back up to where we were anytime soon. That's done. There's no crying over spilled milk. Now we need to look at how we can continue to grow and thrive in this changed market. "We run a much tighter ship. The people in my company have really stepped up our game. We're a lot more efficient than we were before. Into the future we're going to be a tough company to beat."